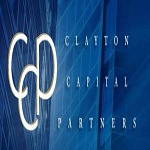 Reported by Thomson Financial, Mergerstat, and Investment Dealers, Digest as one of the top independent banking firms in the nation, Clayton Capital Partners in Dallas, TX have proven to be a viable performer for the middle market in its performance. Our company sits among the top ten performers in the country and we continue to extend our service reach. Our firm's focused specialists, independent of our partners, have owned and operated more than 30 companies. Overall, our professionals have closed more than 200 transactions across the nation, including in Louisville and Kansas City, MO. To date, our company has set M&A standards for businesses that fit the $10-$25 million sales per year bracket.